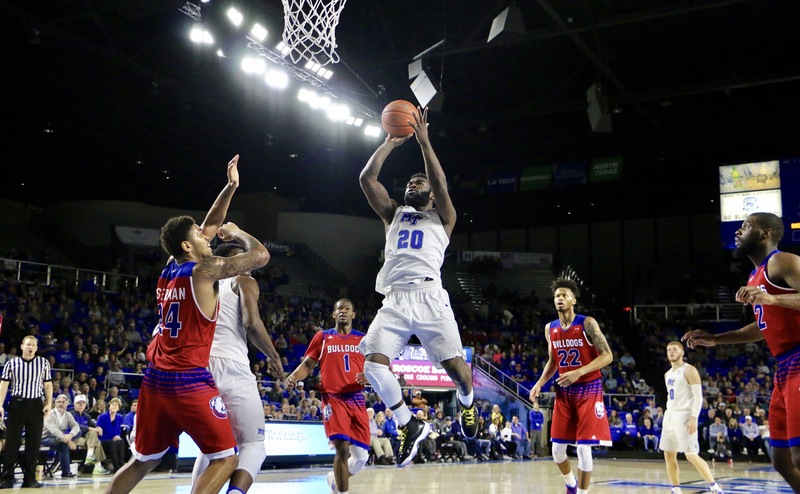 The Middle Tennessee Blue Raiders (19-3, 9-0) met the Louisiana Tech Bulldogs (14-8, 6-3) tonight in Murphy Center for a clash of Conference USA titans. 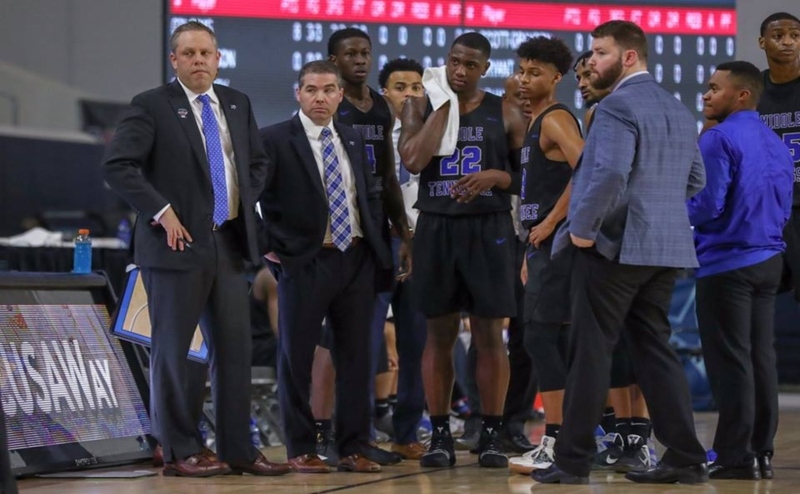 While they struggled for most of the first half, the Blue Raiders rode the energy of the 7,800 fans in attendance to a crucial 71-61 win over the Bulldogs. The game started out as many figured it would, with both teams fighting for control of the paint. 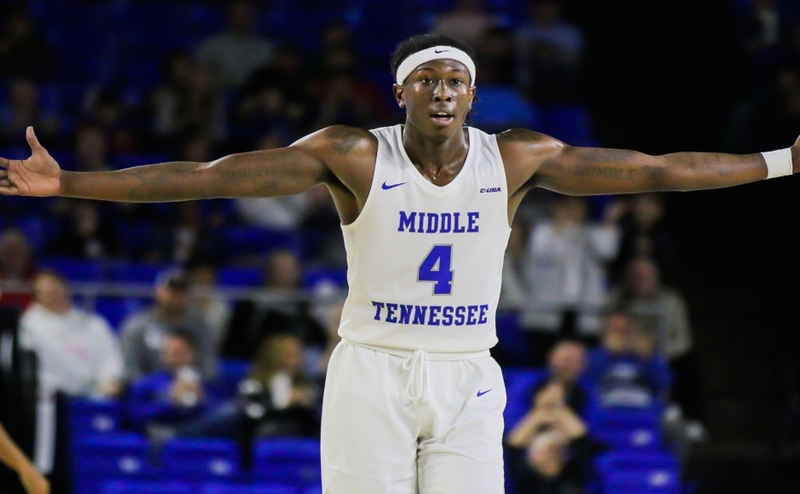 After pulling ahead 17-12, Middle Tennessee hit one of it’s worst cold stretches of the year by going scoreless for over five minutes. This allowed Tech to take their biggest lead of the game at 28-17. The Blue Raiders struggled the entire night from the perimeter, making only two of their eleven attempts from three. Unhappy with the officiating, head coach Kermit Davis was assessed a technical foul after he waved his arms at the ref over a foul call. This lit a spark for the team, as they began attacking the paint and pulled themselves within 32-28 at halftime. The game was called tight, as the officials blew their whistles early and often on both teams. Middle Tennessee’s Tyrik Dixon was hit with two early fouls, leading him to have to sit for most of the first half. Big men Reggie Upshaw and JaCorey Williams were in foul trouble the entire night, leading to junior Brandon Walters getting early playing time. He took full advantage by getting a couple easy baskets to get MT back in rhythm. The Blue Raiders continued their run into the second half, taking a 36-35 lead on an Antwain Johnson step-back jump shot. 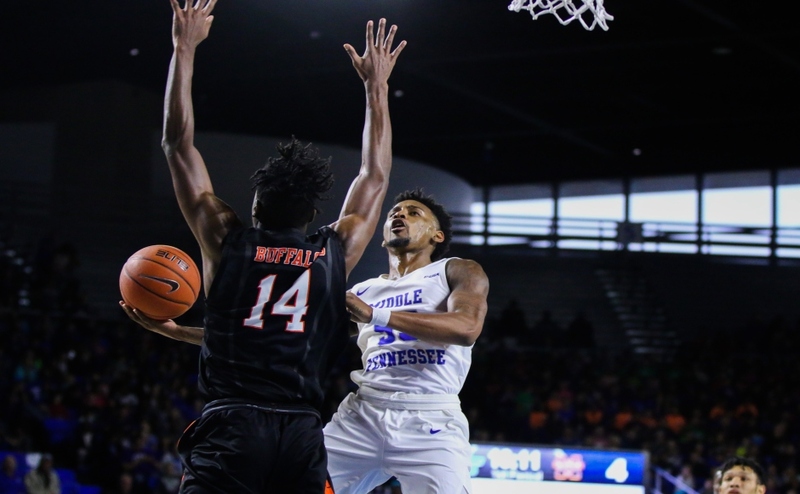 The two teams fought back and forth for the majority of the second half before MTSU used a 14-4 run in the final 3:43 of the game to close out the Bulldogs 71-61. One game removed from only scoring four points, Williams took over the game Saturday when it mattered, posting a double-double of 19 points and 11 rebounds. Giddy Potts added 17 points and seven rebounds, with Upshaw pouring in 14 points of his own. With everyone in foul trouble, Davis knew that he would have to rely on his bench tonight and they didn’t disappoint. For Williams, the key to the second half was coming out with the right mindset and energy. Saturday’s fans were some of the most electric Murphy Center has seen this season and Coach Davis was very appreciative of everyone in attendance. The Blue Raiders will return to practice on Monday before heading to San Antonio, Texas to take on the UTSA Roadrunners on February 2. Tip-off for that game is set for 7 p.m.